At long last farmers are beginning to see the benefits of looking at different ways of getting essential nutrients to their pastures and plants. It has never made any sense to continue applying products that are the cause of leaching and water contamination. No farmer I know willingly harms the very environment that they intend to pass on to the next generation. It has saddened me to hear our scientists and farming leaders advising farmers to resist change. Change and innovation have been part of our farmers’ DNA for the last hundred years and it is only relatively recent that there has been this strange notion that there is only one fertiliser programme and any deviation from it will not be tolerated. It amazes me that this nonsense has lasted even for fifteen years but now we are nearing the end of that period, thank goodness. Not only do we need to take a more in-depth evaluation of the products that we use but it is important to examine and reassess how we apply them to our land. I have spoken before about the new and amazing sprayers that apply nitrogen in a suspended liquefied state and get the same or better growth rates from only 50% of the normal amount of N. This example proves what we have always known at Fertilizer New Zealand and that is that our nutrient programmes can achieve significant savings by the careful co-ordination of application rates, product type and the timing of spreading. Soil biology is a far more sophisticated science than modern thinking has been willing to acknowledge. We know that we have depleted essential life in our soils with harsh fertilisers killing earthworms and other soil micro-organisms. But the good news is that those micro-organisms can be replaced by introducing them back into the soil through one of our many products. This is the future, and although there is no one silver bullet, there are many ways to bring life back into agricultural soils in a carefully planned and co-ordinated way. It is possible to look after our environment, increase production and retain that ‘Clean Green’ status that is so valuable to our whole country. It is time now to go forward and really care for our soils by careful management and sensitive applications of essential nutrients rather than simply throwing on excessive amounts of white dust, much of which has gone to waste. We have been pushing a more responsible nutrient programme for many years and now it appears that at last our time has come. We are looking at a far more enlightened future and overcoming the problems of the past. Managing Director, Fertilizer New Zealand. There has been a lot of debate recently regarding farming, the environment and what we can expect from our rivers and land in a recreational point of view. No one would argue that there are three aspects to any community. Environment is where we live. Social is who we live with [Family then village or town]. Economic keeps the society living in the same place. All three are important; we cannot take away any one and still have a viable community. The two that I am concentrating on in this article are Environmental and Economic. For these two to be compatible it must be viable. Clearly the present system has some shortfalls. Dairy farmers have been struggling financially and sheep and beef could do better as well. How can we find a win-win situation where farmers can be financially better off, the environment is improved and we meet with approval from those who are calling for more social responsibility? In almost all situations like this there is an answer, but it will take all of us to shift a little for all to meet what we want, and that is a sustainable outcome. Sustainable from a Social point of view. 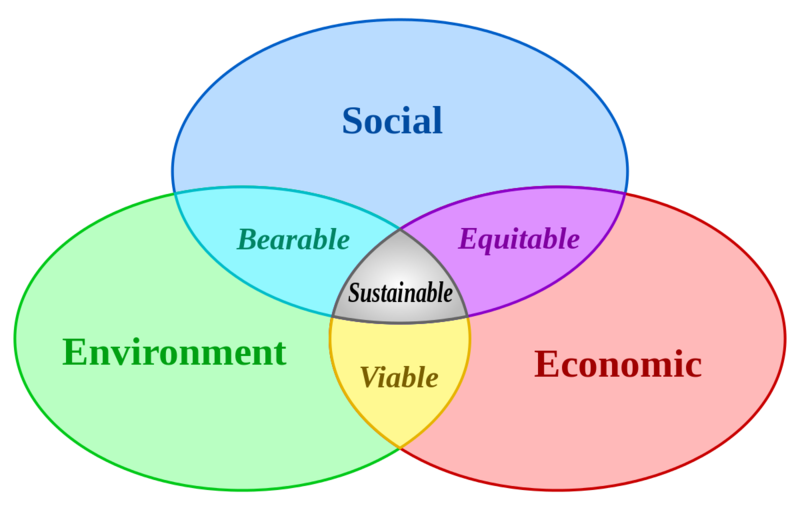 Sustainable from an Economic point of view. Sustainable from an Environmental point of view. How is it possible to deliver a satisfactory answer to all parties? Farmers need to be able to make a viable living from their land and not be impeded by overly strict rules and regulations. On the environment side is the discussion of nitrate in the aquifers, which has been shown to have their origin from nitrogen fertilisers. In other cases, scientists tell us there is higher than desirable levels of phosphate in rivers and streams. This isn’t satisfactory from either aspect, as why should the farmer need to spend needless money on something which will not help farm production? A simple straight forward answer is required. Apply phosphate which is not water soluble, feed nitrogen into the leaf and not into the soil. So how does this work in practice? There has been some debate in the farming sector over which phosphate product to use. Some advisers have actively discouraged farmers from using non-water-soluble phosphates. While within NZ’s Agricultural universities students are discouraged from discussing anything other than the status quo, trial work carried out conclusively proved that directly applied phosphate rock was as good if not better than processed phosphate. Farmers using natural phosphate were surveyed to find out their experiences with using a natural phosphate product. 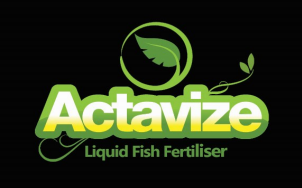 There are many studies both in New Zealand and internationally which have shown foliar applied fertilisers can produce excellent results. I am not saying that all foliar fertilisers are the same as there will always be products that work better than others. I can only comment on the ones I know and which our Company produces. 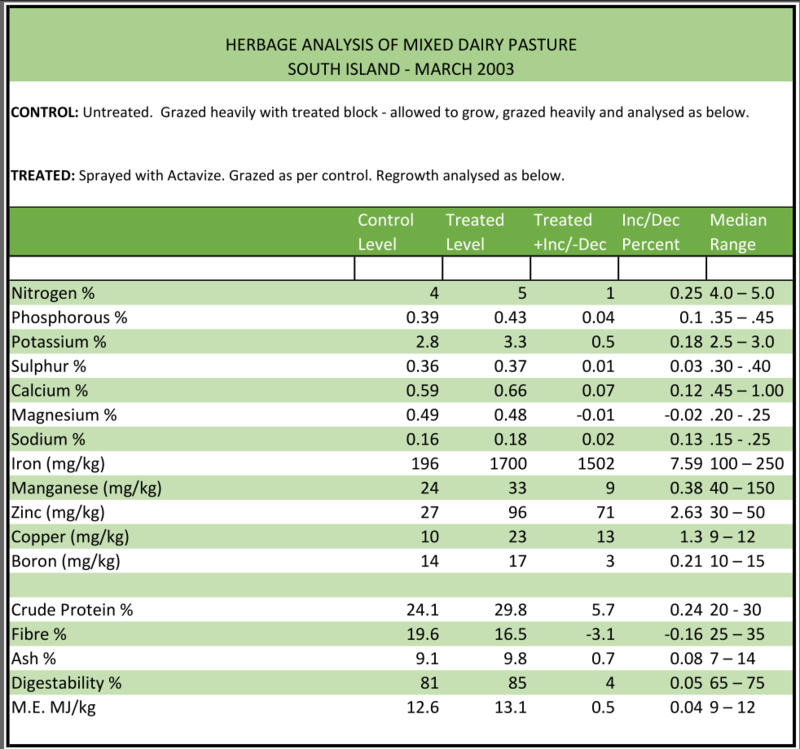 This shows that not only was there good regrowth but also the pasture was of higher quality than the control. Plus, there was not environmental effect as the application was applied to the leaf. These facts speak for themselves. There are credible ways to produce grass. More lateral thinking is required. The fact is, there are credible ways to farm effectively, and having a smaller foot print. We all need to work together and start a meaningful dialogue. We must stop talking past each other and start talking to each other. I look forward to this discussion and moving forward as a community.